Elounda, Crete – November 6, 2014 – Blue Palace, a Luxury Collection Resort and Spa is proud to announce that it has received the Country Award: Favorite Wellness Travel Property in Greece in prestigious Spafinder Wellness 365 Travel Awards. The award-wining Elounda Spa and Thalassotherapy, is a place of absolute tranquility created by the breathtaking natural beauty surrounding it. 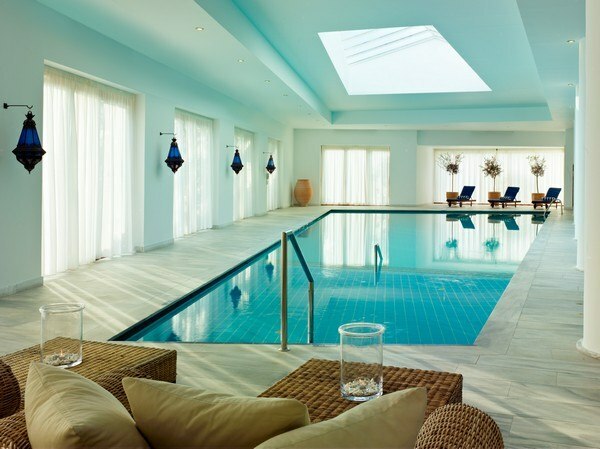 Featuring 3 thalassotherapy pools and 24 treatment rooms, it is a perfect sanctuary of relaxation and revitalization. A wide range of excellent quality treatments are available at our spa ranging from luxurious Signature Treatments, utilizing the therapeutic properties of local ingredients, to a selection of the best body rituals and exclusive face cares, some of the most prestigious cosmetic brands. Blue Palace Resort and Spa, has attracted several international awards – most recently the US Condé Nast Traveler Readers Choice Award 2014 and Gold List 2014 – and garnered recognition for its design, location and service. Nestled on the famed coast of Elounda on the island of Crete, it is the perfect hideaway to combine authentic island luxury, fine cuisine, a host of cultural interests and breath-taking natural beauty that’s soothing for the senses.